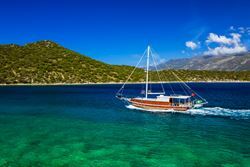 In Kas there are many cafes and bars in and around the yacht charter harbor. So after a long relaxing day on the yacht the crew can then enjoy a nice drink with a little snack or a delicious dinner in Kas. For those yacht charter guests, who are interested in culture, Kas offers a lot of interesting sights which are certainly worth stopping over for. The marina in Kas is centrally located and presents a large number of yacht charter offers and a lot of other water sports. 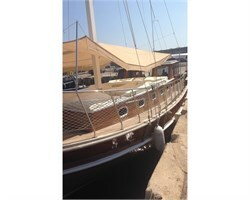 Also good shopping facilities are offered in the vicinity of the port of Kas. So even the food shopping during a yacht charter in Kas is fast and easy. 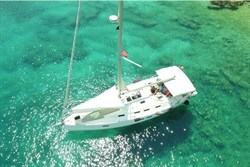 But also souvenir shopping is pleasant in Kas: modestly priced deals to enrich a yacht charter. In order to start your journey in Kas smothly, an airport shuttle to and from the yacht charter base can be arranged on your request. Year by year charter crews return to Kas to sail from here again.